BLACKLINE Retail Group, LLC provides high quality shopping center leasing and development services to landlords throughout New England. They have completed hundreds of deals with retailers including retail stores, supermarkets, banks and restaurant tenants. BLACKLINE Retail currently leases almost 30 properties, totaling more than 3,000,000 square feet of commercial real estate. 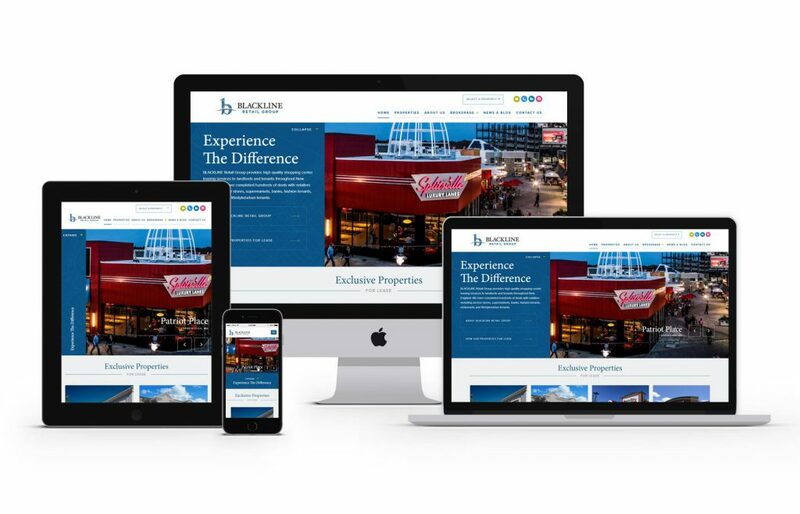 GoingClear Interactive was responsible for the website design and development of the new BLACKLINE Retail Group website. 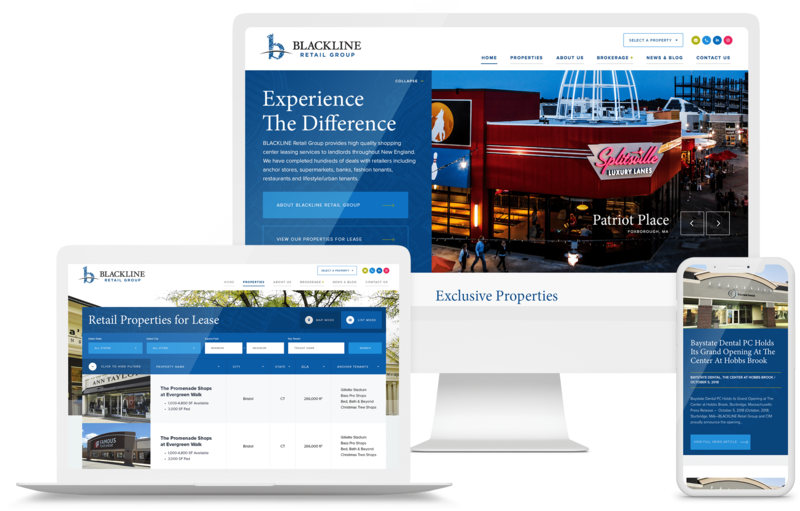 An important part of this project was the sophisticated development of BLACKLINE's new website meshing with a sleek, professional design. On the Properties page, we developed an advanced property filter feature with a customized administrative interface in the back end. This allows users to search properties by state and city all the way to square footage or key tenant, in either map or list mode. There's also great design features like a dynamic Home page slideshow with expandable flyout and high-resolution photographs throughout the site so prospects can really get an understanding of the properties available. 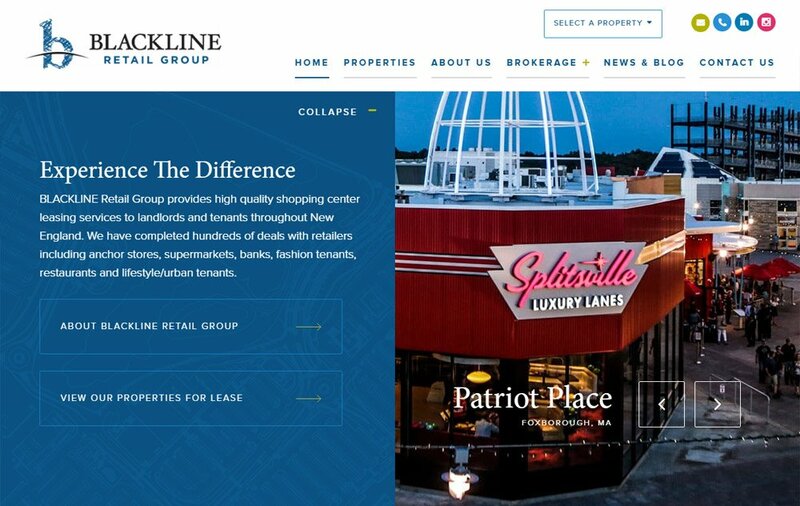 The new BLACKLINE Retail Group's website was built using WordPress as the CMS (Content Management System) along with the responsive framework Twitter Bootstrap so web visitors will always have a flawless experience on any of their devices.